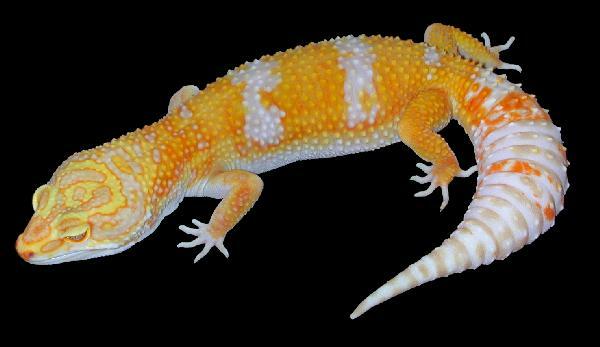 Over the last 3 years I have done additional testing of this genetic, reviewed my original breeding records from 20 years ago, and studied the historical account of this morph that was presented in my 2005 book. 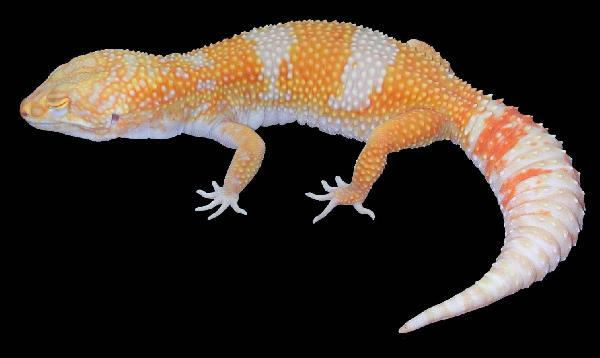 Given these findings and the results of others, it is my best judgment, that our famous giant leopard gecko, Moose, and his resulting descendants are the result of a recessive gene. The term ‘Super Giant’ shall still apply based on adult weight, while the term ‘Giant’ no longer applies. 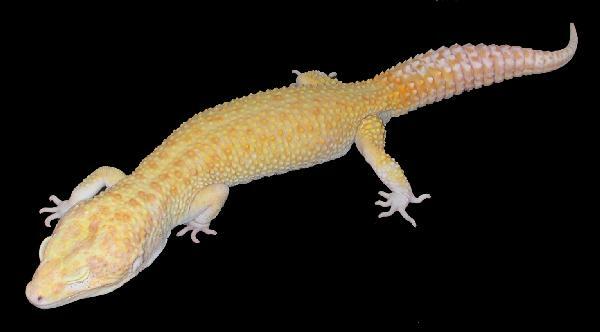 The first Super Giant was a normal non-visual albino that occurred randomly in 1999, a descendant from the large project that resulted in the first Tremper Albinos. 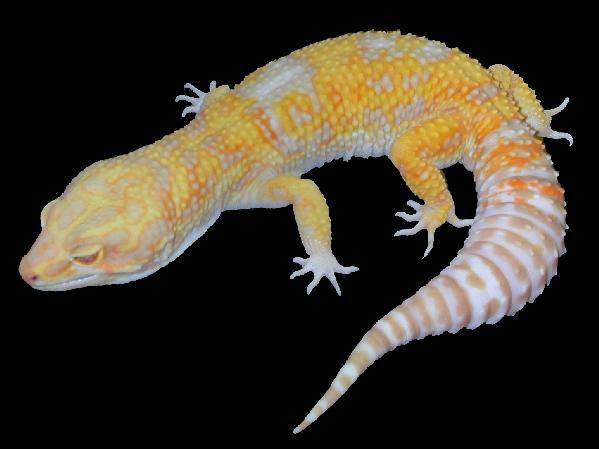 This explains why, that when that first Super Giant was bred to a Tremper Albino female from that project, I got Moose, a Super Giant Tremper Albino, which proves that the Tremper Albino female I used was het Super Giant and the Super Giant male was het Tremper. 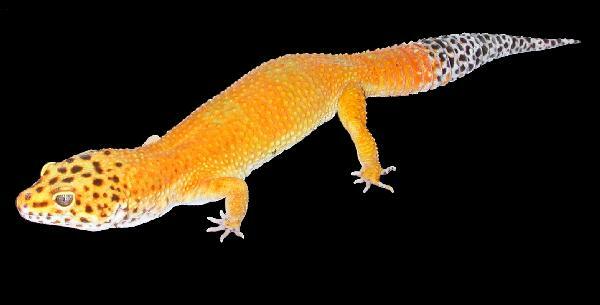 Only geckos expressing this recessive gene may be called Super Giants. Males are 100 grams or more, with some having reached over 175 grams at the time of this writing. Females are 90 grams or more. Super Giant x Super Giant = 100% Super Giants. 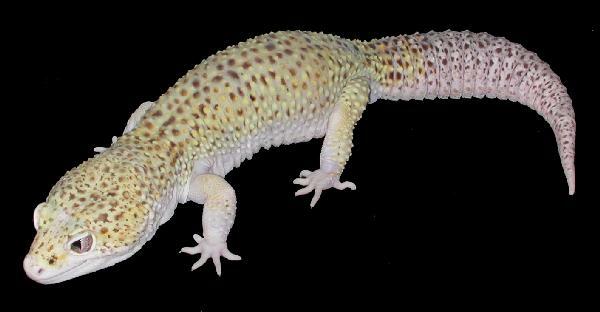 Offspring from a Super Giant x Normal breeding would be het for Super Giant. 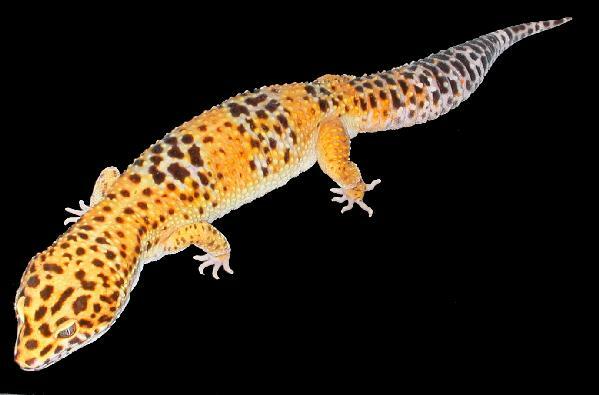 With line-breeding efforts the first 200-gram leopard gecko will likely occur in a few years. Tests described below by Tony Gamble have shown the Super Giants to be pure macularius and not a hybrid with the species angramainyu. Male - 94 grams - $399. 9 MONTHS OLD !!! STILL GROWING !! Male - 98 grams - $379. Male - 90 grams - $379. 8 MONTHS OLD !!! FROM OUR HIGH CONTRAST SUPER GIANT GROUP !! 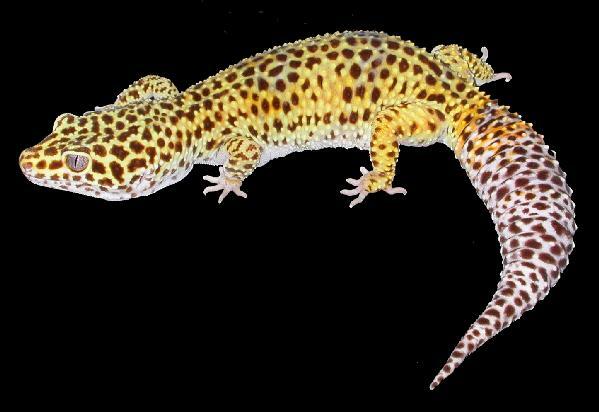 Female - 80 grams - $599. 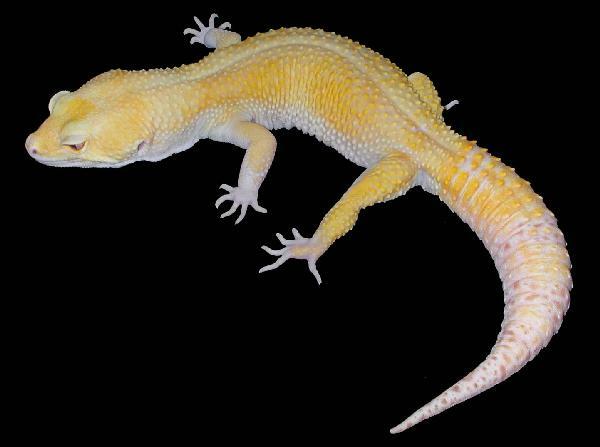 Female - 74 grams - $549. 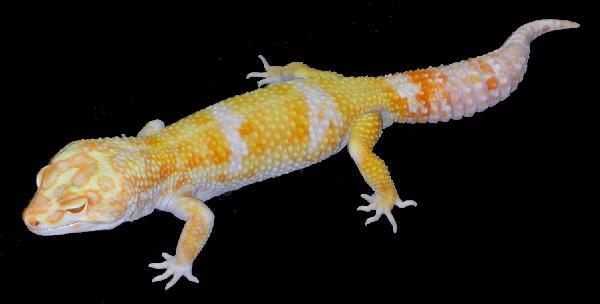 Female - 86 grams - $429. ONLY 7 MONTHS OLD !!! FROM OUR HIGH CONTRAST SUPER GIANT GROUP !! Male - 116 grams - $399. Male - 104 grams - $499. 12 MONTHS OLD !!! WILL LIKELY REACH 110 GRAMS OR MORE !! RIGHT AT 11" LONG !! 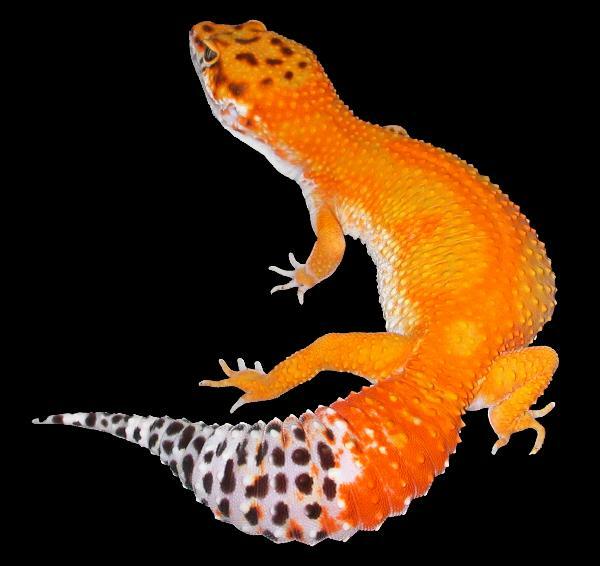 Female - 80 grams - $429. ONLY 6 MONTHS OLD !!! FROM OUR HIGH CONTRAST SUPER GIANT GROUP !! Female - 98 grams - $279. 36 months old !!! 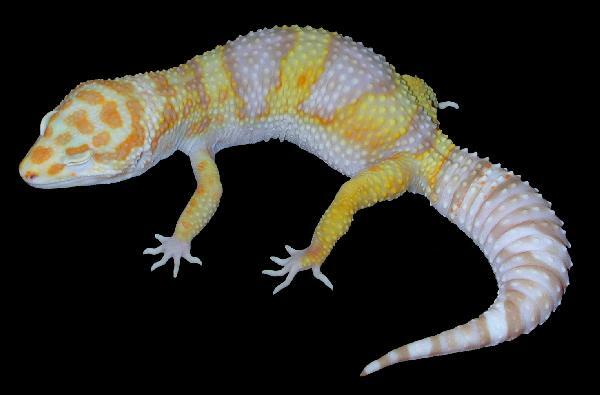 GREAT PROJECT GECKO !! Female - 84 grams - $249. 28 months old !!! ONE ALL RED EYE & ONE 90% RED EYE !! Female - 106 grams - $399. 36 months old !!! A REAL MONSTER !! Male - 114 grams - $449. 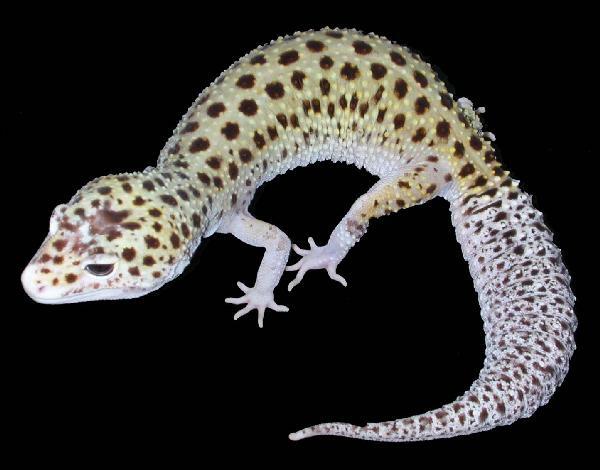 Female - 64 grams - $379. Female - 54 grams - $329. Male - 86 grams - $129. 2 years old - TWO RED SNAKE EYES !! Male - 106 grams - $329. 2 years old - LOADED WITH SPECIAL GENETICS !! TWO BLACK SNAKE EYES !! 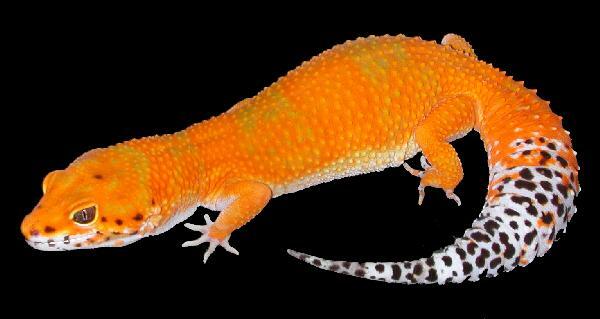 A REAL NICE GECKO !! Male - 100 grams - $399. 2 years old - TWO ALL RED EYES !! 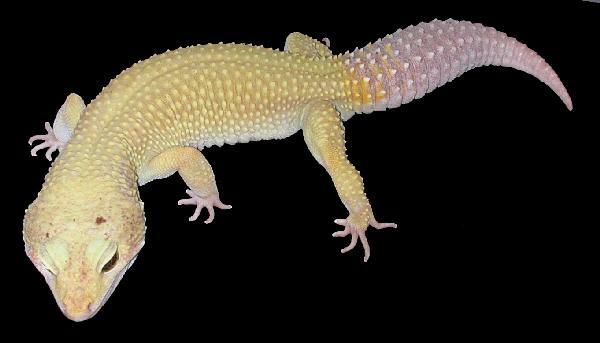 A REAL NICE GECKO !! Male - 110 grams - $329. 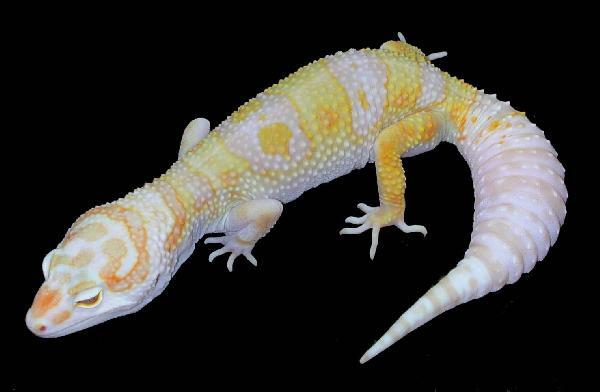 2 years old - A REAL NICE GECKO ! !